Would you like to have your name on a Diploma? Would you like to experience Zagreb in a different way? Would you like to cook a Zagreb lunch? Select the date for the workshop and register by filling in the registration form below. Your day ends at 5 p.m. with a Diploma and recipes. Only payments with PayPal are accepted, if you need other options, send us a message. 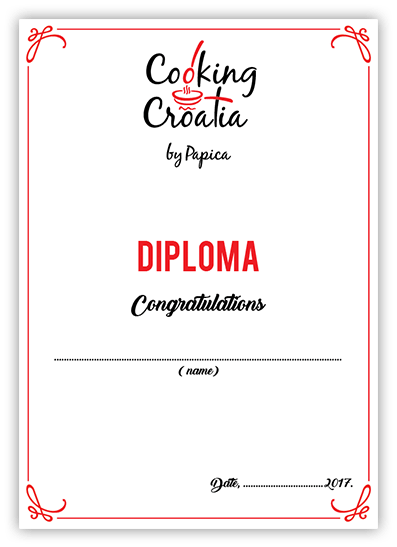 Cooking Croatia by Papica | Cooking brings people together.